This poster was a collaboration with PangeaSeed as part of their ongoing “Sea of Change: The Year of Living Dangerously" artist print series. This poster was a collaboration with PangeaSeed as part of their ongoing “Sea of Change: The Year of Living Dangerously" artist print series. 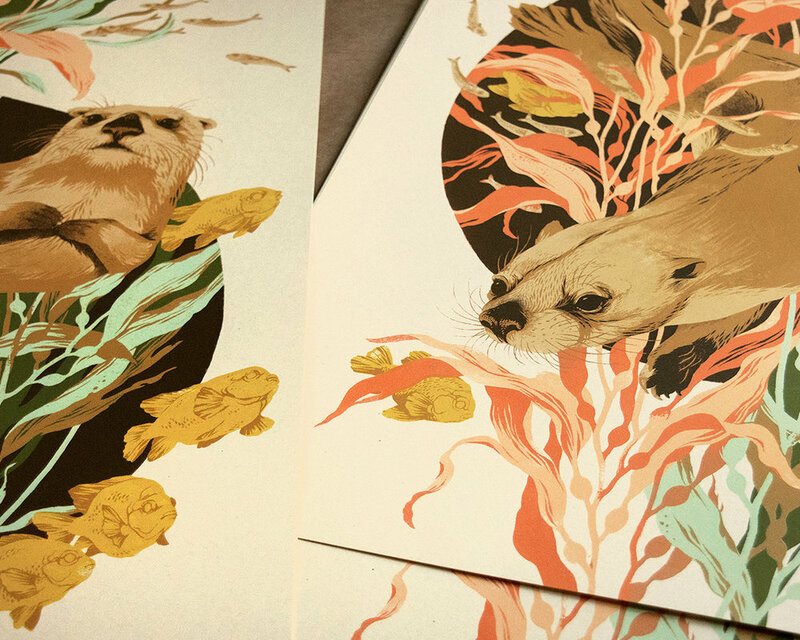 All sales of this print went towards saving our oceans by helping fund PangeaSeed and SeaWalls, whose combination of art & activism raises awareness to the most pressing marine conservation battles. 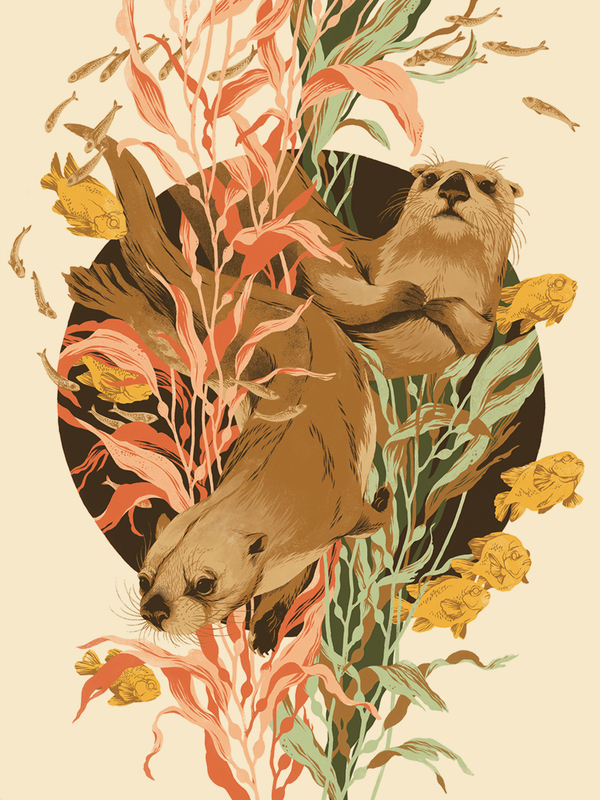 The highlighted marine species of this poster is the endangered sea otter. Sea otters have a huge impact on their coastal habitat, preying on marine animals that consume kelp and maintaining the balance needed for the forests to support diverse life and reduce carbon levels. Food shortages have caused the otter’s habitat range to expand & put some populations in the path of shark attacks, oil spills, fishing traps, toxic pollutants, and parasites. 18"x24" seven color screenprint on French cover, printed by Triple Stamp Press.